Dollops of Diane: A Spring Time (Picture) Update! After a brutal winter, it seemed like spring would never come and now it's almost gone in the blink of an eye. While I have a minute, I wanted to post some pictures of what we've been up to! 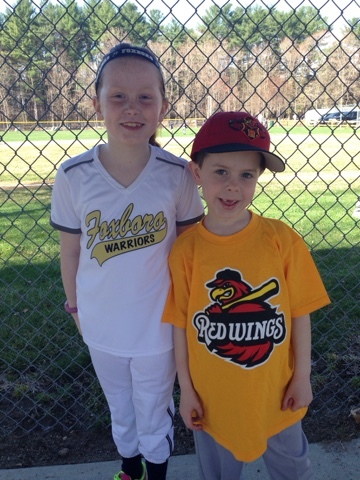 Isabelle started her first year of softball this year while Henry started his second year of baseball. My husband, Tim, is the assistant coach of Henry's team so they've had lots of Father/Son time together. The majors are definitely not calling for either of these kids but they sure are having fun! 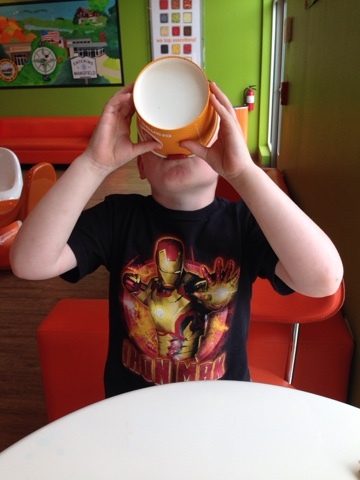 We've been enjoying ice cream - lots of good to the last drop, ice cream! We've been enjoying nature. 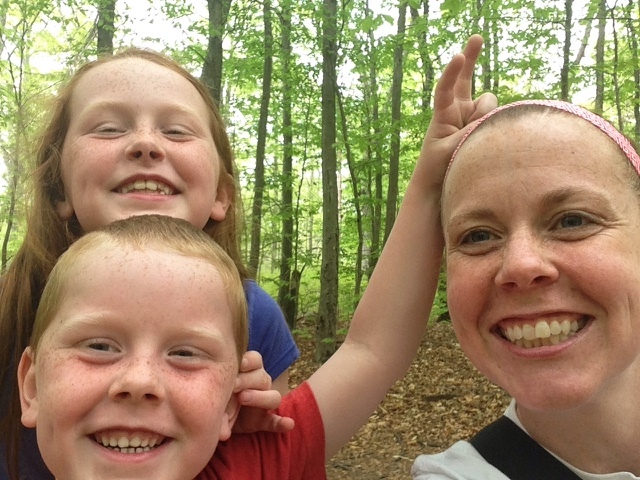 Although I've never been a woodsy girl, I recognize that it's a great way to get the kids out of the house and get some exercise. This summer we have big plans for lots of hikes - and inevitably lots of complaints. Henry was excited that it was finally his turn to go to The Parched Painter since Isabelle had been twice before. He and I had some one on one time complete with soda and candy! 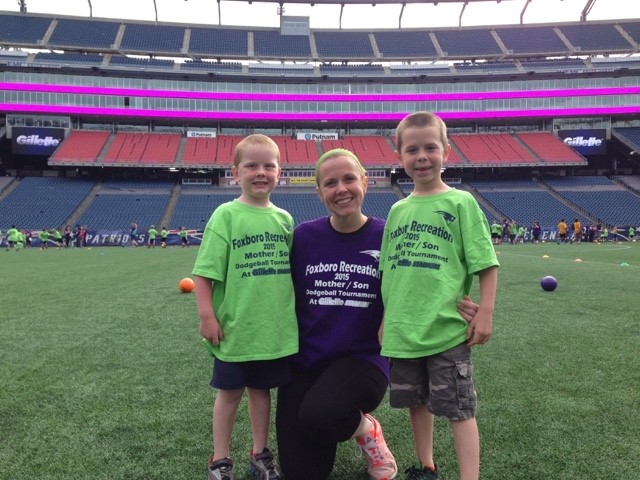 The boys and I participated in the Mother/Son Dodgeball game on the Gilette Stadium field last week. There was blood, there was sweat, there was tears - but it was an amazing night! 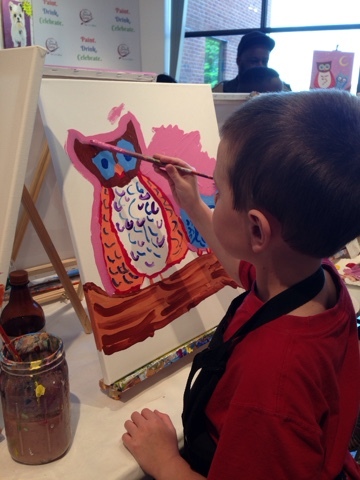 Spring is off to a great start - can't wait to see what summer brings!